We live in a world of Instant fantasy where everything is done immediately and instantly. Wondered how fast the world is moving ahead? It becomes important to place your brand right in the mind of your audiences. There are various ways to advertise and promote your businesses. Most popular ones are the SMS service, which is considered an effective marketing tool. Thought SMS services are considered the fastest of the lot, voice services have gained momentum in the process of promoting businesses. Today voice broadcasting service allows one to send a pre-recorded message to large group of people. With its simple process, one can create own voice message which can be sent across multiple customer database and keep track records and earn profits. In all, Web based voice calling service is one of the simplest, fastest and price effective method to promote products and services in modern times. 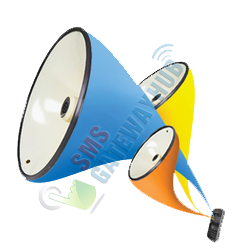 SMSGATEWAYHUB is one such Bulk Voice Call Service provider which ensures maximum successful call delivery within minimum time. One can avail our services to send out any important announcements, alerts or reminder notifications, social campaigning messages, promoting business or marketing campaigns, latest offers and updates on products and services. We assure you fastest and instant voice call delivery to many people at large. Our unique audio clip uploading and recording service with auto re-dialing of unsuccessful calls are some of the unique features of Bulk voice call services. Billed only on answered calls. Voice Calls Delivered only on Indian phone numbers. Same Pricing for land line phones and mobile phones calling. Treated as Marketing Route Gateway. Voice clips needs to be provided by the client.